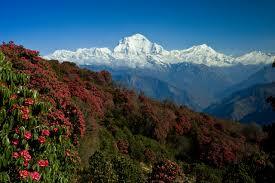 Nepal offers thousand different types of activities; but spring and autumn is the best to do the trek in Nepal. Nepal is a tiny country between two giant India and China. Carrying huge attraction of natural and cultural beauties and also attractions including top of the world Mt Everest 8848 mtr and birth place of Lord Buddha Lumbini. At the 147181 sq km of total area of Nepal covering by 30 million total population. Different types of indigenous groups of peoples with their own culture and costume to show their real lifestyle. Normally all the peoples are using Nepali language but with their own mother thong. In some community and the peoples have problems to communicate in Nepali too. This modern generation most of the people from the touristic area they understand English as well. Here is not that difficult to connect with peoples while you traveling.